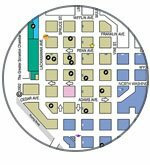 The close proximity to major metropolitan markets has positioned the Greater Scranton area as an attractive business location. 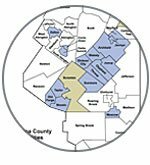 Enhanced by a vast interstate highway network, many companies have chosen to locate major manufacturing, back-office and distribution facilities here. Scranton sits in a prime location for companies wishing to serve Maine to Virginia and west to Ohio. Highways 80, 81, 84, 380 and 476 provide access to more than 99 million people within a 500-mile radius of Northeastern Pennsylvania. 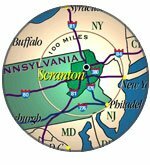 Located at the crossroads of five interstate highways, Scranton provides ready access to the business and cultural centers of New York City, Philadelphia, Boston and Washington. Scranton’s superior roadway network will allow your workforce to enjoy an average daily commute of just 20 minutes! The Wilkes-Barre/Scranton International Airport is located within 10 minutes of downtown Scranton and offers direct service to many major areas including Atlanta, Charlotte, Chicago, Detroit, Philadelphia, Pittsburgh and Washington-Dulles. 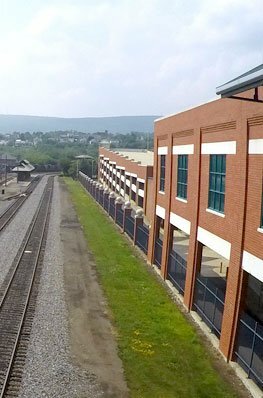 For companies in need of rail service, Scranton offers a rail freight system that contributes to the success of many businesses. 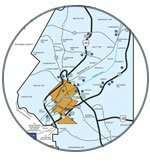 Norfolk Southern and Reading Blue Mountain & Northern Railroad (RBMN) serve the region. The Pennsylvania Northeast Regional Rail Authority (PNRRA) is the regional rail system stretching from Carbondale to Scranton through the Pocono region to the Delaware Water Gap. The Delaware-Lackawanna Railroad Co., Inc (DLRR) owns the rail assets in Lackawanna County. Northeast Freight Transfer can provide intermodal terminal operations, transloading services, bulk and dray and motor carrier services. Subscribe to our newsletter for property and event updates. ©2017 Scranton Plan - The marketing affiliate of The Greater Scranton Chamber of Commerce.